Everything you need to surrender your Indian passport and get surrender certificate in the UK. What is the process to surrender Indian passport in the UK? If you are a person of Indian origin, that’s the first question you seek an answer to as soon as you get your British Citizenship. I got my British citizenship a couple of months back. As I approach towards the 90-day grace period of being able to travel on an Indian passport, I started exploring the process involved in the renunciation of Indian citizenship and surrender of Indian passport. Acquiring British Citizenship is a long process, and it is quite a journey – renewing your Tier 2 Visa every year to getting ILR (subject to rules that apply to you!) to finally attending the ceremony when you get the naturalisation certificate as a British Citizen. The next step in the journey is the renunciation of Indian passport and obtaining a surrender certificate. 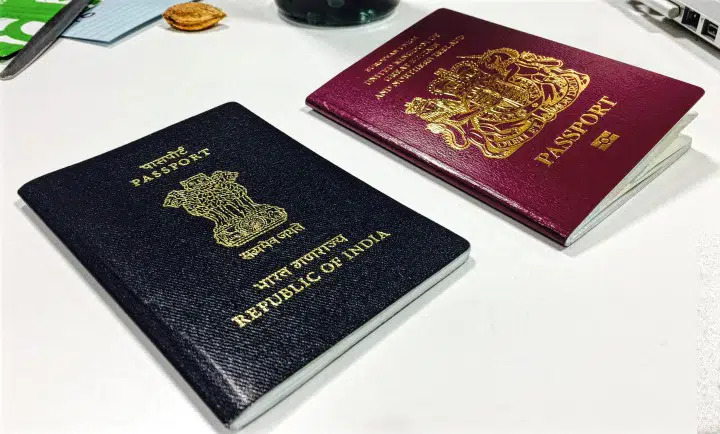 In this post, that’s exactly what I have for you – a detailed guide on how to surrender your Indian passport after becoming a British citizen. 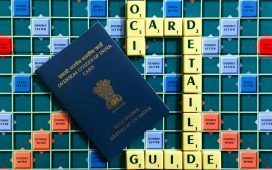 This guide will fill any gaps in understanding you might have when you are in the process of cancelling your Indian passport after getting foreign citizenship (in my case, British Citizenship). Also Read: Is it illegal for NRIs to hold Resident Indian Bank account? 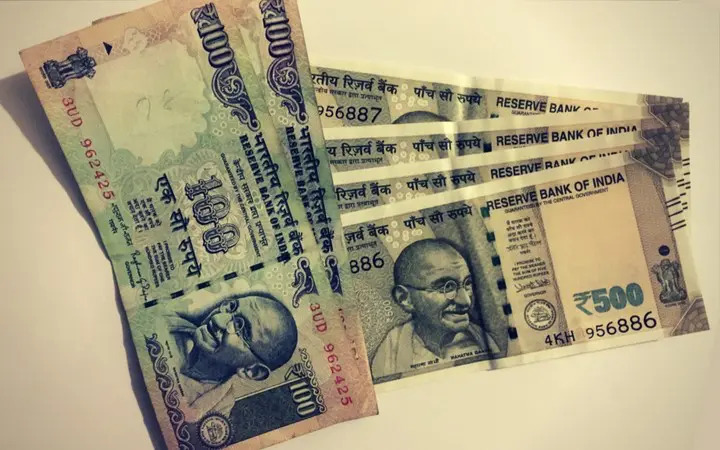 Bonus tip for NRIs: If you are still using your bank for sending money to India, check out my detailed guide to show you how you could be losing thousands every month. 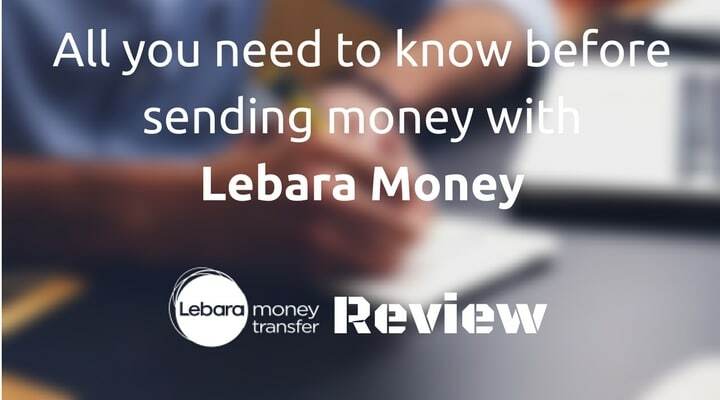 Also check out the alternative money transfer services and the best new customer deals. Why do I need to surrender my Indian passport? Can I still travel on my Indian passport? What happens on the day of appointment? How do I collect my Surrender Certificate? As I cancelled my Indian passport to obtain the surrender certificate, I thought of documenting the entire process and formalities involved. For starters, I stumbled upon the guide that VFS has published, but I felt the information was not as straight-forward as I would have expected (and there were a few anomalies in the information provided too). 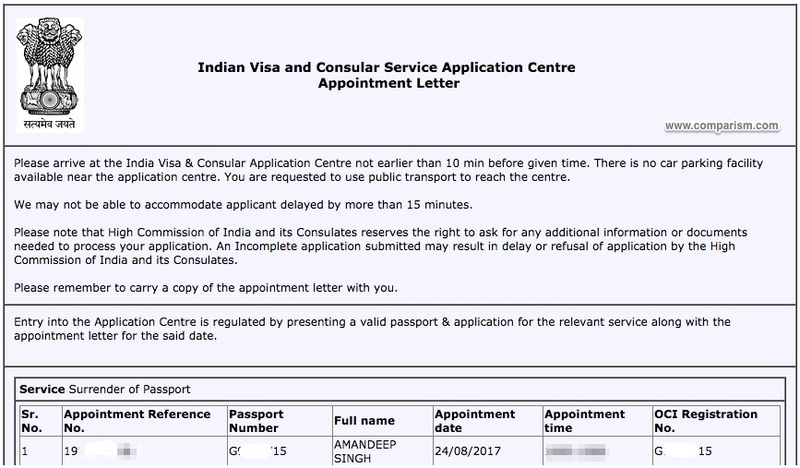 I had to refer to different posts, forums and expert groups to get my head around this and clarify some of the basic queries I had regarding Indian passport cancellation process. I documented the process for this post to become a go-to guide so that YOU don’t have to go through any hassles like I had to. Without any further ado, let’s jump right in and understand the step-by-step process involved in getting surrender certificate after cancelling Indian passport. Why do I need to cancel my Indian Citizenship at all? Why can’t I keep my Indian passport? The Indian Citizenship Act 1955 does not allow dual citizenship for persons of Indian origin. Once you have acquired foreign citizenship, you are required to surrender your Indian passport to the nearest Indian mission/post to renunciate Indian citizenship. If you intend to apply for OCI Card or Consular Services/Visa, surrendering your Indian passport and getting Surrender Certificate as a proof of cancelled Indian passport is a pre-requite. The VFS website doesn’t answer this question very clearly. It mentions the processing times vary from case to case basis and some applications may take longer than others to get processed. I followed some guidance on some forums which state the process takes 7-10 working days. When I submitted my documents for withdrawing Indian passport, the executive said I should normally get the certificate in 5-6 business days. I will update this post when I receive my surrender certificate and cancelled passport back. Update: I received my surrender certificate and cancelled passport back within 5 working days (from the date of submission). As I mentioned already, you have 90 days to surrender your Indian passport (without attracting any penalties) after obtaining foreign nationality. The date on the naturalisation certificate is treated as the date of acquiring British nationality and not the date your British Passport was issued. To give you an idea, below is the timeline for Indian passport cancellation based on my application. You can travel on your Indian passport after getting British Citizenship for up to three months. The 3-month period is calculated from the date of acquiring foreign nationality which is the date of issue on your Naturalisation certificate. Travelling on Indian passport after the three-month grace period of becoming a foreign citizen is an offence under the Indian Passport Act 1967. Some people retain their Indian passport even after acquiring foreign citizenship (and renew them at expiry) and even use them for travelling. Once you acquire citizenship of any foreign country, it is illegal to travel on the Indian passport after the grace period expires. You could be penalised if you do. The penalties are calculated on a graded scale which depends on the number of trips you have made on Indian Passport after you acquired foreign citizenship. 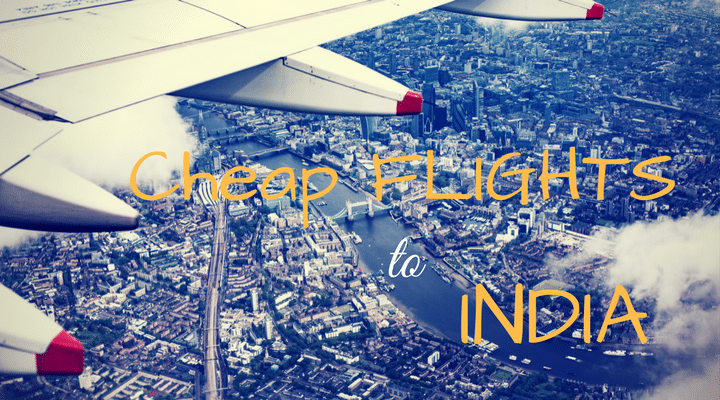 Check: How to get the best deals on flights to India? If you fall in one of the scenarios above, you need to provide a declaration addressed to High Commission of India in the UK explaining the reasons. If a penalty is applicable, it cannot be waived or reduced as per the rules mentioned on VFS website. I will provide some relevant links towards the end of this article for you to check. Also Read: When is the best time to send money to India? The High Commission of India has outsourced the Surrender of Indian passport service (and all other Visa/Passport/Select Consular services) to VFS in the UK (and Cox & Kings in the US). You cannot send your Indian citizenship renunciation application to the High Commission directly – it has to be via VFS. You can submit your application for cancellation of Indian passport in-person at the VFS application centres. You need a prior appointment to apply, and your application won’t be accepted if you don’t have a pre-booked appointment. I attended mine at London-Hounslow VFS centre, and I have based this guide on my experience (I have given the entire timeline above to give you an idea of how long the process takes from submission to getting the certificate in hand). Step #1: Go to this link. Step #3: Select your preferred VAC and Services as “Surrender of Passport” and click on Submit. On the next screen, select a date and time. Step #4: Once you have selected a date and time for your appointment, enter Applicant Details on the next screen (shown below). As you are applying only for cancellation of your Indian passport to get surrender certificate, you won’t have an OCI Registration number. You will be presented with the below alert which means you have successfully booked an appointment for surrendering your Indian passport. Check your mailbox now, and you will get a confirmation email with the appointment confirmation letter. When you click OK, you will be taken to the confirmation screen and prompted to take print out. Print this out as you need to carry this appointment confirmation with you. When you reach your chosen centre, a security personnel will attend you at the entrance. He/she will make preliminary checks – your appointment letter, filled application form – and issue a token number. Take a seat and wait for your number to be called on the screen in the waiting area. Once your token number is displayed on the screen, proceed to the shown counter number. Officer at the counter will then ask you to submit your necessary documents and pay the passport surrender fee. Then, you will be advised about the tentative timelines and get the payment receipt. While at the counter, the officer will also ask your mobile number and email address to keep you updated at critical stages of your application. This service is charged extra at £1.20 (+VAT) and is by default included in the service – I am not too sure if you can opt out of this service. Anyways, I recommend getting text/email updates added so you are informed of progress at every stage. As opposed to other (probably complicated) pricing structures for government services, the Govt. of India has set fixed fees for surrendering of Indian passport. The fees vary based on the date, a Person of Indian Origin, acquired British or Foreign Citizenship. Here I have explained those different criteria and the related fees. Got British citizenship on or before 31 May 2010 – You need to pay £22 (which counts towards Misc service charge and Consular Surcharge). You are not required to pay any Fee for surrendering your passport. VFS will charge you £7.44 (Inc. VAT) for the service so the total fee is £29.44. Got British citizenship on or after 01 Jun 2010 – The passport surrender fees, in this case, is £119 that includes the embassy surrender fees of £117 and consular charges of £2). Including VFS service fee of £7.44 (Inc. VAT), the total comes to £126.44. Got British citizenship and passport also expired more than ten years ago – In this case, you will be issued “Deemed Surrender Certificate” which will cost you £20 plus applicable charges including Consular Surcharge of £2. Again, including VFS service fee of £7.44, you will pay a total of £29.44 to obtain Deemed Surrender Certificate. To receive SMS updates on your application progress, VFS will charge you an additional £1.20 (plus VAT) for text updates on your mobile. You can pay the fees for surrendering your passport using Cash, Debit or Credit Card (except AMEX). If you also pay using bank draft payable to “VF Services UK Ltd” or postal order. Please note that paying with a Credit Card will cost you around 2% extra in Credit Card fees. I paid using a Debit Card. Here’s the list if you acquired British Citizenship on or after 01 June 2010. Two recent 50mm x 50mm size photographs. A4 sized self-addressed envelope (Special Delivery) – if you are submitting more than one application together, you need ONE Special Delivery envelope PER application. If you DO have a British Passport, I recommend carrying it with you as well. The VFS guideline suggests carrying a self-attested copy but they do ask for the original British Passport for verification purpose. In my case, I had put my signatures on the British Passport before taking a photocopy and was accepted by the executive. I was told that if it didn’t have signatures on it (which many don’t bother signing), I would have just been asked to go back. From the experience I had and the one shared by Nakul in comments below, I suggest you carry the original as well just in case you get asked and post your finding in comments below so others could follow accordingly? In case you are applying for Renunciation Declaration or Deemed Surrender Certificate, you need the below documents. Renunciation Declaration: If you have lost or misplaced your Indian passport and fail to produce a valid Indian passport physically, Surrender Certificate cannot be issued to you as a surrender certificate requires Indian passport to be physically provided. In this case, you can apply for “Renunciation Declaration” with a copy of the Indian passport. Renunciation Declaration includes a remark that the original Indian passport was not surrendered. You will also need to provide a duly Notarized Affidavit and a Police report to make sure you avoid any passport misuse. 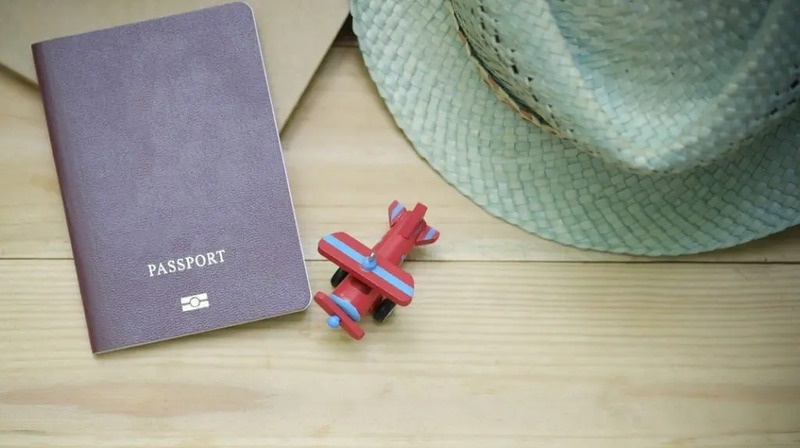 Deemed Surrender Certificate: If you are applying for a Deemed Surrender Certificate, you also need to provide a photocopy of the last Indian passport and the first British passport. Note: I have provided this list based on the documents I used to obtain a surrender certificate after surrendering my Indian passport. I got my surrender certificate based on this list, but I am in no position to guarantee that you will too – the High Commission of India may ask for additional documentation if required. Once your request is processed, the surrender/renunciation certificate will come to you by post/courier. When you apply for a passport surrender certificate, you are required to provide an A4 size self-addressed envelope (Special Delivery) per application for return delivery. You can also speak to the advisor at the application centre for secure delivery courier services available, but I recommend you carry a Special Delivery envelope. It’s cheaper, and you can track the delivery on Royal Mail website. The VFS courier option is £15 per application and you can get the Post Office Special Delivery envelope for £7.30 each! If you plan to renunciate Indian citizenship and apply for OCI Card/Visa at the same time in the UK, you have to face disappointment. Surrendering Indian passport and applying for OCI at the same time is not possible in the UK at the time of writing this guide. If you live in the US, the facility to cancel Indian passport and applying for OCI at the same time (via Cox & Kings who is the outsourcing partner for High Commission for India) is available. But such a service is not available in the UK. In the UK, once you have got your surrender certificate using this guide, you can use my OCI guide to help you with the OCI application submission process. Bookmark it now and come back to it later. A simple guide showing you how to cancel Indian passport in the UK. I hope this guide helps you in surrendering your Indian passport and obtaining surrender certificate. If you have any queries about the passport renunciation process, do let me know in the comments section below along with your feedback. If you found this guide helpful, please do me a little favour and share this guide with others, for there’s a good chance that it will help them with their Indian passport surrender application. Many thanks for the clear and detailed guidance, very helpful. I am not sure, in the application form, does ‘ permanent address ‘means UK permanent address or address given in Indian passport? It needs to be the UK address. Many thanks for posting such a clear guide and detailed steps involved in the Surrender Indian Passport/OCI. Since you draw from experience, it is extremely useful and credible. Thanks a lot for your comment – I am really glad you found these guides useful. Many thanks for your guide, it was really helpful. Will be following OCI Guide now. very helpful!! thanks a ton! They don’t. However, you do need to carry it along for verification purposes. Could u please advise documents required ,it also mentions nativity certificate do I require this? I have applied for UK passport and posted my Indian passport for the same. Currently I dont hold my Indian passport. Can I still apply for surrendered of Indian passport? No, unfortunately not. To get the surrender certificate, the Indian passport needs to be sent and physically cancelled. I used the Nationality Checking services for my citizenship application and hence, didn’t have to send my original Indian passport. Excellent step by step guide for surrendering passport. Yet to submit, however I noticed when booking online, it only gives one date available. Isn’t there any way I can select my own date when I am free. Since the dates are 1 week away, it’s will be difficult to get leave on short notice. Are you referring to the very first step where it shows the date for next available slot? If yes, you will get a lot more options when you proceed to the next step. First of all many thanks for the detailed guide. Do I need to submit one self addresssed pre-paid envelope or two? The guide suggests one but some comments are saying two! This is probably one of the best guides/notes I’ve come across lately while doing all the research for pre OCI application procedure. It’s very handy and quite helpful. for those who are financially stressed, you can ask for assistance from UK social services. Indian passport services will not waive the fee. Those who are honestly financially stressed can seek this assistance. This is a good service provided by the UK for their citizens. Thanks for taking the effort to put up this detailed and extremely helpful post. The comments clearly show how helpful this step by step procedure has indeed been. My query is to do with the appointment booking. I am applying for a re-issue of my current passport which expires in August 2019. For multiple reasons, the best time I figured to apply was now given it is less than 1 year till expiry. While booking my appointment and filling in the details, instead of typing my passport number in the OCI Registration No. field, I typed in my application number ‘GBR…’. Do you feel this would be an issue ? Re: your query, I don’t feel there would be an issue but as you have got time, here’s what I would suggest. 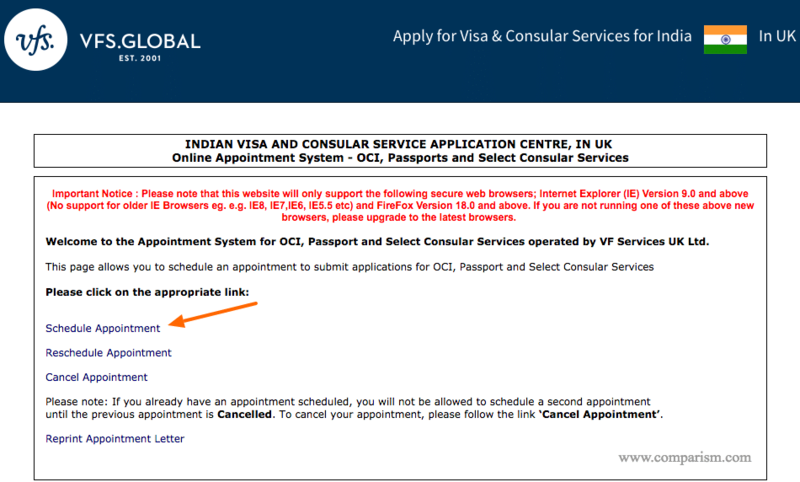 You could cancel your appointment and simply book the same date and time again to follow the instructions given on the appointment page by VFS (which is to use the passport number when the appointment is NOT OCI related). Appointment link not working anymore – will let you know once I find a new link. I just checked and it is working fine for me – can you please let me know what issue are you facing? Hi Aman, Thanks for this detailed guide. I found it extremely helpful and have submitted by Passport Surrender Application. One would imagine one would need to return their Aadhaar card as well? Any thoughts? There’s no such provision as far as I am aware. Thanks a lot for taking time to write this blog. Its very evry helpful! I got my surrender certificate. but with spelling mistake in it. Last year even my husband also had same issue of spelling mistake. It was really a big thing to sort it out. How do i go about? I cant afford many leave form office. Do I need to mail them? Hi Pallavi, I can understand your frustration. Please can you update here with what do VFS recommend? Thank you Aman, I have just booked my appointment without any hassle by following your guidance. Its so informative and helpful. I am about to explore regarding this today and just found your page on my first search and clicked. Glad I picked right page on right time and done with my appointment straightaway . In addition to the 50×50 size photograph question, could you please advice when I submit the application to surrender the Indian passport, where do I specify that I need surrender certificate? Do they by default send the surrender certificate after I have submit the application or is there a separate form I have to fill to get the surrender certificate? You receive a surrender certificate as a result of applying to surrender your Indian passport. No separate forms. Do they really need Two recent 50mm x 50mm size photographs or will they accept UK passport size photo? If not, where can I get 50mm x 50mm size photographs. You will need 50x50cm (2′ x 2′ inch) – you can get this from any photo service. Simply ask for Indian passport or US passport/visa photograph as US and India have the photo size specifications. I have a question regarding the appointment for surrendering the Indian passport for my son (2yrs old). The schedule appointment doesn’t have any fields to choose for children (only has “Number of applications to be submitted for adults:”), so shall I take an appointment for my son by giving all my details in the appointment form including my passport number, data of birth details etc.. Yes Niki, you can provide your details to book the appointment. Thank you Aman, your help is much appreciated by all of us! Hello Aman. First of all I would like to say thank you for writing in details. I got all the information needed by reading in 15 min whereas previously I have been looking for them for hours. Have a couple of queries pls. 1. I am planning to surrender Indian passport once I get my british passport and so will be mt wife. Can I go to VFS appointment alone with both of our documents or does she have to go herself as well. Difiicult for us to get leave bpth together. A. Do they take the original british passport? B. Do i need to submit envelope as well for this ? 1. Yes, you can visit the VFS and submit the application on behalf of your wife as well. 2. A. No, they won’t keep it but you do need to take it with your for verification purposes (along with a self-attested photocopy – which they will keep). 2. B. Yes, as I have mentioned in the post above, you would need 1x A4 sized self-addressed envelopes per application for the return of original documents and, new and cancelled passports. Another note. I was asked to get a photo copy of pages that I used to enter UK the very first time using HSMP/Tier-1/Tier-2 visa. One update. While booking for VFS appointment online, please type in small letters. email address in capital letters are not accepted by the online form. I was quite puzzled with their response saying enter proper email ID. Hi Aman do you know what to write in the place of issue for the British passport on the surrender form ? And do I need to fill in the from bit on the silver envelope myself ? There is no specific ‘place of issue’ mentioned on a UK passport hence, I mentioned HMPO London on mine and had no issues. No, the “From” bit will be filled in by HCI – you only need to fill in the “To” bit with your address. I got my Naturalisation Certificate and I am going to surrender my Indian Passport first then i will apply for British Passport once i received my surrender certificate. Do I need to send my Original Naturalisation Certificate or Just Self Attested copy? Also in my situation, do i need 2 or 1 envelop? You need to include self-attested copy and carry the original with you to VFS for verification. You need 1 envelope per application. What happens to the physical passport during surrender and OCI process. Will it be destroyed OR hand it back to us after marking it as cancelled? I have a property in India for which proof of identity was Indian passport, Not having the Indian passport will cause any troubles in Future? The cancelled passport will be returned to you along with the surrender certificate. For OCI, you don’t need the Indian passport (as you cancelled it) – instead, you will submit the surrender certificate. No shouldn’t be an issue – you will still have your cancelled passport as proof along with surrender certificate (and OCI card). I haven’t come across this situation myself yet but don’t feel this to be an issue at all. In the US, they stamped, “Cancelled due to acquisition of Foreign Citizenship” on the photo page of the passport. At that time, they did not issue any surrender certificate. It was done long before this surrender certificate hoopla started. I am not sure if they still do that or just send you a surrender certificate and make a different mark on the canceled/surrendered Indian passport. And as a bonus answer: On an existing India Visa in the US passport, they marked, “Canceled without Prejudice” when issuing the OCI. Hi Mez Baan, thanks for your comment! Can you recall how long ago was it (when they did not issue a surrender certificate and only stamped the cancellation on the Indian PP)? Now, they stamp the passport as cancelled and send it back along with the surrender certificate. Sorry; just saw this. It was very long ago, March 2010 to be precise. The surrender certificate issue–although on books for ever–was not big then. Plus, I had never traveled on an Indian passport, so it would have been defensible. To be honest, I did not know the rule to surrender Indian citizenship if one acquired a foreign citizenship even existed. I just applied for OCI as soon as they started issuing it. The biggest peeve of mine is the onerous (way more than the original application) process to get it reissued every time a new passport is issued for holders under 20 years and once after the holder reaches 50 years of age. I am all for updating the picture etc. but the process needs to be greatly simplified than made many more times difficult for reissue of a new passport. In the US, kids have to get a new passport every five years; so, if you get OCI as a baby for them, you have to do this at least two or up to three times. Lots of $$$$ and more bureaucratic nightmarish paperwork, which is totally unwarranted in my humble opinion. As I wrote in your OCI guide, I don’t think most Indian immigration authorities enforce this rule, but I wouldn’t recommend taking a chance. It could ruin your trip if this situation were to occur. Thankfully, there is no more OCI stickers in the passport; just the OCI booklet is fine. That’s why I don’t know why a British passport is needed in the UK for OCI process; here in the US, just a notarized copy is fine. One more thing — I think a copy of that cancelled page for folks like me is (should be) treated equal to a surrender certificate. 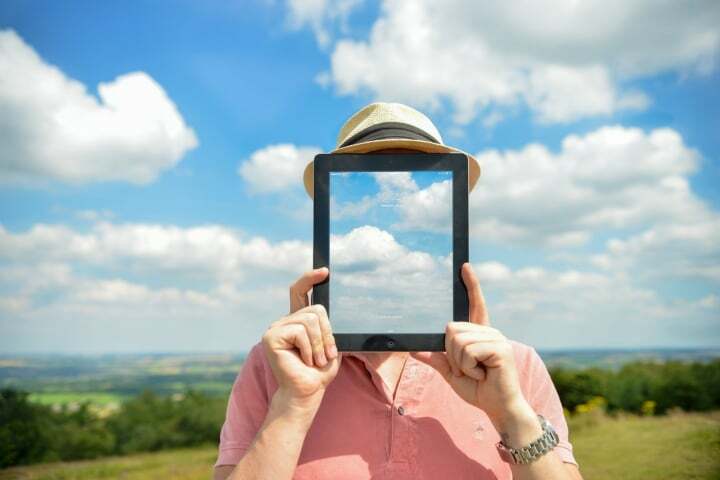 Hello Aman – Many thanks for summarizing the steps and comments sections answers -Very useful. I got my British passport last week and about to make the surrender certificate application in the next few days and then OCI as you suggested. Just wondering whether my travel to India (in case of any family/personal emergency) will be impacted because of the above mentioned surrender formalities until I get my OCI? If that is the case, what are my options to make my travel and return to UK seamless? I am also waiting for your OCI article – please send me if have a draft? Hi Abhi, Indian passport number is just fine, no need to put British passport number for surrendering Indian passport, hope this helps, cheers! I have a doubt about filling in the appointment sheet. 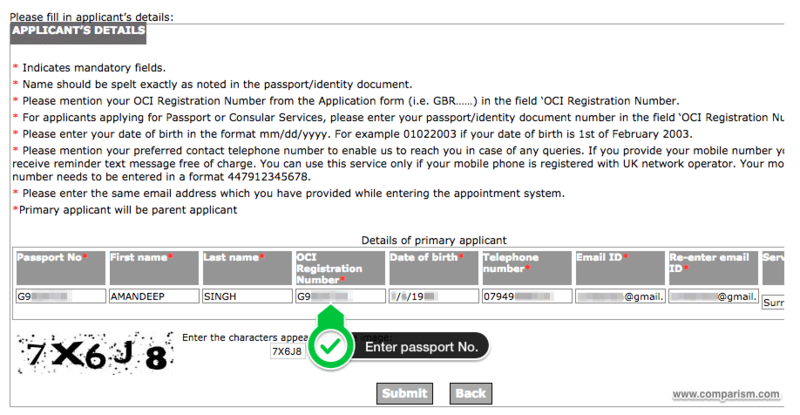 I am not sure whether to type in my british passport number or my indian passport number when filling in the appointment page for surrendering my indian passport. It needs to be your Indian passport number as that’s the one you want to surrender to the HCI :). Thanks for your comment. Beavers lane and Chinchilla Drive are 2 places where I parked on different visits. There is also a paid parking inside the “Vista Centre” but I couldn’t figure out where exactly the pay machine was hence I parked in the residential area around. Thanks Aman, Yes I was able to find parking in one of the residential streets nearby. I’ve visited the VFS Hounslow office at least 3 times and always used car. There’s good number of parking spots behind the main building but important to note that some parking slots are numbered and please do not park there or else you may be issued PCN notice. As you move further down, you will see a machine on the right hand side and I think it does accept coins but I always paid using the number mentioned on the machine via phone. And its very pathetic system where you have to say each letter of your car registration and the automated system is not nice to recognise the correct letters. So better to have an additional 10 mins or so just to pay for the parking over phone, or even better to carry the coins. Yes I was able to park on one of the residential streets. I have been issued PCN a few times in past so I try be quite aware to read signs… Thanks again! 1.who needs to sign the application form/or child thumb impression? Either parent can sign the application/declaration forms. I have it on the draft post in the pre-requisites you need to book an appointment but forgot about that part – my bad! On that note, if all you need is a checklist right now, I am sending you my draft now that I did last year for my OCI application submission but then the application could not be submitted due to a mistake (I will mention it on the post!) – please check your email. Hey Aman, slight off-topic comment. I am still waiting for your OCI step-by-step guide 🙂 , any chance you can upload anytime soon? When do you plan to apply? I suggest booking an appointment anyways as it sometimes is quite full. To booking an appointment for surrendering Indian passport, link is not working. please help me know how to fix it. Please try again and let me know if you face any issues. Hi Aman, good to see amends on your page, definitely helpful for others. I just thought of updating here that I have received the surrender certificate on 25th April and I had applied on 17th April. As you might remember I carried only 1 envelope (Special delivery) and ended up buying 2 at VFS office, my certificate came in as slightly damaged (thankfully no tearing) and other 2 were safe. I should have carried the ‘Do Not Bend’ envelope inside. The expensive VFS envelops were good though. It’s such a trivial thing but may be if you include this in your page, that may help others getting their certificates back safely. I guess because mine one was normal A4 sized it might have been mishandled by royal mail. I used Royal mail service but my certificate came in a perfect condition. You’ve made a great point of including an A4 cardboard envelope inside. It is very detailed information..
Can you tell me please how much worth of stamps we need for royal mail spl delivery envelope? I think generally it depends on weight.. right? Yes it depends on the weight and the 7.30 GBP special delivery envelope will suffice for the certificate and cancelled passport to be returned. Do application form n deceleration form is same for minor child . Or is there is any other form to be filled. It’s the same form and either of the parents can sign the application and declaration form. Hi Aman, I forgot to mention one more important point about the documentation. When I went in for my application, I followed the guidance and did not carry my original UK passport. But luckily, the copy I was carrying was taken after I put my signatures on the Signature section on UK passport and hence was accepted as the executive mentioned they only need for verification and if it didn’t have signatures on the copy, he would’ve sent me back. I am sorry to hear about your issue… which Visa are they asking for. Did you try calling the VFS helpline? If you had Indian passport why would you need a visa to travel to India? Sorry, I need to know your issue before trying to help. 1. 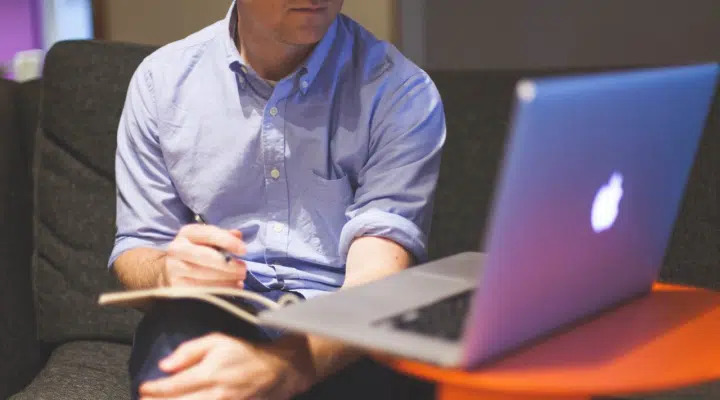 First I thought I did all the extensive research and carried all the documents etc and went in with full confidence, because of my excellent prep-work in advance, the total processing took just under 15 minutes for all 3 applications. Only single mistake I made was carried just one single pre-paid special delivery envelope and I was told that I had to supply each for each applicant. This has made me slight upset since yesterday I confirmed with VFS support over email and they replied me saying its okay to have just 1 envelope but on the day I ended up buying their expensive option (£15 for each envelope). I tried arguing but you know how things work, they had reasons saying each application gets processed separately and can get rejected too hence they need separate envelopes, it’s a shame there is no clear info on VFS website about this. Can you please update your guide to include this new information about family application and mention in bold that one should carry pre-paid envelope for each applicant. That may save others some amount of money. Sometimes I feel VFS intentionally do not provide clear info on the website so they take advantage of such situations and force people to buy their envelopes etc. I still look forward to your full OCI guide 🙂 Thanks! I totally agree – prior prep-work is where the time should go. The actual process (if you have got it all covered) is literally 10-15 minutes. Coming back to the update on this post, actually, I did mention that you need a special delivery envelope “per application” in “How do I collect my documents” section and clarified it on this comment as well, but I do agree to add this detail explicitly will be really helpful for anyone who could face this issue again. I have added this now! Hi, Is there a way we can get surrender certificate by post.Or Walk to VFS is a must.Please suggest.Thanks. Hi Suresh, you cannot submit a surrender certificate application via post. The only way is to do it at a VFS centre with prior appointment. Hello Nakul, Thanks for your query and for doing the research. I really appreciate you taking time to update your findings here. Hi Aman, nice post, really helpful. Just 1 query, if its a family application (for 3 ppl), does all family needs to attend on the day of appointment or its fine if its just 1 person? 2) VFS site I believe says no credit cards, has that changed since you wrote the post ? Hello Anand, I am glad you liked this guide. 1) Depends on when you acquired British citizenship. There is a penalty if you retain the Indian passport for more than 3 years after acquiring foreign citizenship. I hope my response helps you – do update on your progress here. Will update once visited, one more question, I have 4 passport of my family to surrender, will 1 special delivery envelope suffice or do I need to carry 4? one for each application, also do you know the cost of courier offered by vfs. You will need 1 self-addressed envelope per application. The VFS is pretty expensive (£15ish, I reckon) compared to the special delivery option (£7ish). If you can find out the exact price for the VFS courier and update here, that’ll be awesome. Whilst booking the appointment to surrender indian passport, VFS booking window doesn’t allow you to choose the date, it comes up automatically. Do you know how can you choose the date to book appointment. The date shown on the first step is the next available date. When you go further into the next step, you would be shown options to change the date and pick the suitable time. Please check and let me know if you face any issues. Your detailed explanation is truly very helpful. I was wondering whether you had any information as to whether I could apply for my Surrender Certificate and Entry Visa at the same time in London. Some friends informed me that this is possible (in other countries) as a Receipt is issued after your submit your passport for the surrender certificate and this receipt can be used to apply for the Entry Visa immediately thereafter (same day). Many thanks !! I am not too sure on that one. However, for entry visa you mainly require your current passport – so, if you have your foreign passport it could be possible to apply for Visa to India. Thanks Aman, this is very useful. After obtaining the surrendering indian passport and also acquiring oci, would you also be able to advise what were the next steps with re any indian bank accounts, investments, insurance policies, etc. you may have followed. If you have already informed your bank(s) etc of your status change from Resident to NRI, I don’t think you need to separately inform anything. Wow Aman, Thank a lot for your meticulous guidance. Found more clear than VFS site documentation in my scenario. Please do sign up for my free newsletter to keep updated with latest posts and best deals for sending money to India. Hey are you writing a post on OCI application process? Stay tuned and please subscribe to my free newsletter to get an email when the post is up. I just got British passport and I have to go to India in ten days. so no time for surrender and OCI process. My naturalisation was in Jan.
1. can I go on my indian passport as it is with in 3months of naturalisation? or should i take a visa? 2. Is it mandatory to have surrender certificate to take Visa? 3. 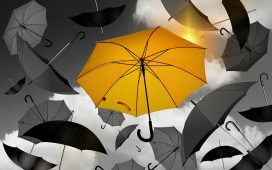 I might have to stay back for 3 months in India before return – so can I surrender and get OCI in India while I am there? 4. Does the 3 month grace period to travel with Indian passport apply only for entry to India? reason I am asking this is, as I might have to stay for 3 months, then at the time of return it would be like more than 4 months from naturalisation. I guess I can enter UK with British passport but I guess the issue is at Indian immigration at the tim of exit. 1. You can, as per my understanding. I am not too sure if you should be using Indian passport or UK passport while entering back to the UK. Please share what your finding is when you do. My understanding is, you can enter with either. 2. Which visa? If you are traveling on Indian passport now, you won’t need Indian visa right? 3. I am sorry but I am not sure on this one. Please call VFS helpline to guide you with this. If you feel, please post your finding here so others know. I hope this helps and all the best. If you can, please update here with your experience in this scenario. This is very useful. thanks! how ever i have 1 question unanswered here. Can i do a parrel processing of applying for my british passport and surrendering of Indian passport? I am waiting for my british passort to come right now. Yes, you can do that as per the rules underlined on VFS website – however, when I went in for my appointment I was asked to produce my British passport. I didn’t carry mine but had a photocopy of my British Passport which the caseworker did check. So, I suggest to please call the VFS helpline at 02037938629 once to be very sure. It would be great if you can post your findings here if you call them and I will update it on the article :). Thanks for the reply. I chased it up with the consulate in Birmingham, and they resolved the issue for me. Turns out there was a type and extra digit added to the charge, should have been £160 not £3160. So sigh of relief! thanks for the writeup on passport surrender. I was told by someone that passport surrender application can be done by post , however we must attend in person for an OCI. Is it true? Is there a way of doing surrender and OCI together? The only way to submit the Indian passport surrender application and documents is to do it in person. In the UK, there is currently no way to do the surrender and OCI at the same time. When I booked mine, the ones I listed in the post above are the ones which I was shown the option of. I would wait for someone else to report the same issue before I make any amendments. You sure you don’t get any other options than just London? Thanks for this detailed information. Very helpful indeed. I surrendered my Indian passport after naturalisation and received my surrender certificate in 2013. I would like to apply for an OCI now but I have lost my surrender certificate. What should I do to get a copy of my surrender certificate to process my OCI application? Many thanks for your help. Do you know how the penalties are calculated, I have made no trips to India but didn’t surrender within 3 years. A phone call was made saying I have to pay £3000! I’m not sure how this figure was derived. Hi Nehal, thanks for dropping by. If you have had the passport for more than 3 years and didn’t take any trips to India, as per the info on VFS website, you will be applied a penalty of £160. The £3000 phone call sounds to me more of a scam call – Indian High commision wouldn’t call for such penalties. Don’t make any payments over the phone and take the right route, please. Pls do let me know how you progress with this. Looking forward to yet another write up from your end regarding the submission of OCI application as I presume you too would do the same. Thanks a lot, Swati – I am glad you found this guide helpful. Just that for some reasons I had to travel to India and opted for eVisa which was quicker to get, I haven’t been able to submit my OCI application yet. Once I do and verify the process for myself, it should be on it’s way here! Do you know that if my daughter have to go to appointment herself. She is under 5 years. Hello Jess, I don’t think so but am not too sure about that one. You can try calling the OCI helpline numbers on the VFS website. Thanks a lot for giving such a nice description of Surrendering Indian passport ……. Its very helpful for us……just have a confusion is it compulsory to book appointment .??.. you can go by token striagt away or not?? Hi Niyati, thanks for your comment. Yes, it is compulsory to book an online appointment – when you reach the appointment centre, you will be given a token after verifying that your name is on the list which only happens with prior online booking. Dear Aman thank you for a detailed write up. Much appreciated. I have a question. If a family is submitting passports for surrender, do they provide separate envelops for every member or single envelop for all? I suppose the application has to be individually made for each person. Very good one , I was wondering if I need to get the separate declaration form as well, because the same is mentioned on the main application too. The separate declaration form I have mentioned is for VFS. Good Job Sir … !! Thanks Mandar, I am glad you found this post helpful. Sir Do you have step by step guide for submitting OCI Card application also? I am assuming that after this step of Renunciation, you would have gone ahead and submitted OCI application. Thanks a lot for one of the best description of this Renunciation procedure. As you would expect, yes I plan to publish a similar detailed guide about the OCI process. I have a rough draft ready and will publish it around next month – I haven’t submitted my OCI application yet but it’s all ready to be submitted. I plan to travel to India next month hence, instead applied for eVisa and will complete OCI in Jan.